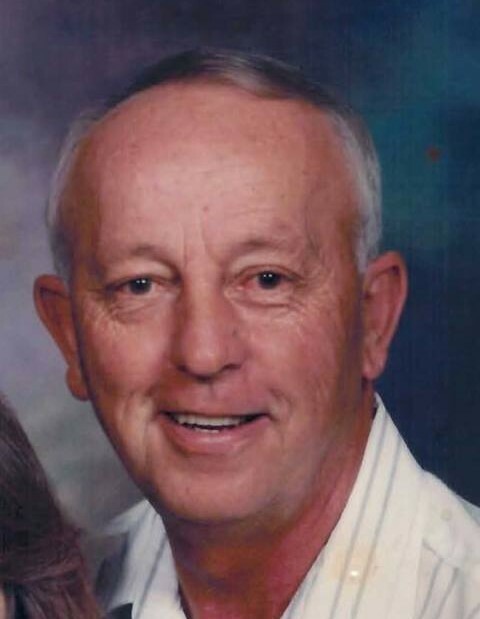 Ronald "Doby" Johnson, 74, of Deshler, Ohio passed away Saturday evening, October 6, 2018 at his residence with his loving wife and family by his side. He was born on January 22, 1944 in Deshler to the late Harry and Ida (Bergman) Johnson. On November 11, 1978 he married Rosaline Wilhelm at Immaculate Conception Catholic Church and they shared nearly 40 years together, with 12 of those spending joyful winters in Holiday, Florida. He was previously married to Thelma Prowant and had two children, Debra and Daniel, they preceded him in death on November 14, 1970. Doby was a 1963 graduate of Deshler High School and he worked for over 25 years as a foreman at the former Dekalb Hybrids Plant in Deshler. Upon its closing, he worked another 15 years with Select Seed of White Pigeon, Michigan until retiring. He was a member of Immanuel Lutheran Church, Deshler. Doby enjoyed playing and watching sports of all kinds, especially his bowling leagues, golfing and the Detroit Tigers. He played cards and was always up to a good game of euchre or poker with family and friends. At home, he tended to his successful vegetable gardens. Most of all, he loved his family and as quiet as he may have seemed, he relished in an opportunity to tease his grandkids. He shared his love for them in his own special way. He is survived by his wife, Rosaline; daughters, Donna LeVeck, Rudolph, Ohio; Carol (Todd) Scott, Fort Wayne, Indiana; Colleen (Steve) Fitzpatrick, Las Vegas, Nevada; 4 grandchildren, Brittany Haas; Mariah Haas; Addison Wade; Kayleigh LeVeck; 2 great grandchildren, Emerson and Mason; and sisters, Susan "Tootie" Johnson, Findlay, Ohio and Barbara Taylor, Grovetown, Georgia. He was also preceded in death by sisters, Helen Johnson; Joanne Schendel; Marilyn Holloway; Jean Johnson; Marjorie Peterson and brothers, Richard "Andy" Johnson; Danial "Hawk" Johnson and Robert Johnson. Funeral services will be at 11:00 a.m. on Friday at Feehan-Rodenberger Funeral Home, Deshler with Fr. Art Niewiadomski officiating. Burial will be in Woodlawn Cemetery, Deshler and a fellowship luncheon will follow at Immaculate Conception Catholic Church, Deshler. Visitation is from 2-8 p.m. on Thursday at the funeral home with a scripture service at 7:30 p.m. The family suggests memorials to Immaculate Conception Catholic Church or Immanuel Lutheran Church.